Local Records Office Asks, Do You Know Your Neighbors? “Local Records Office” highlights the importance of having the ability to answer one key question: Who are your neighbors? The professionals at Local Records Office (LRO) know that, most likely, you have a pretty general relationship with your neighbors. You might share some small talk while waiting with your kids for the schools bus, might wave as you drive passed one another’s homes, or might even meet up at the occasional block party or community get together. But the question remains: how well do you know your neighbors? The reason why this question is important is simple: it is crucial that you are aware of any issues in your neighborhood that might impact your families safety, the value of your property, and the quality of life that you have built. Understand who your neighbors are is a key aspect of this issue, as the people who populate your community are those who shape its character. Age distribution: This factor can help in determining the priorities of your neighborhood, as individuals have varying interests depending upon the stage of their lives. Households: The number of households in your community can help you determine how large the neighborhood is. Population: Like details regarding households, information pertaining to population can help you to understand the character of your neighborhood. Families: This factor is important in assisting you in creating an understanding of the nature of your community and of the makeup of your neighbors. Average household income: Individuals living in the same neighborhood often share a similar socioeconomic status. However, it is true that understand the average household income can help you to better get to know the individuals who are living in your community. Foreclosure activity: This information can point to any foreclosure proceedings that have begun in your neighborhood. Because foreclosure can impact the value of your home, it is essential that you understand which homes have faced foreclosed proceedings. Criminal activity: While it is true that crime that occurs in a community isn’t always perpetuated by individuals living in the neighborhood, it is also true that neighbors must work together to fight criminal activity. This particular piece of information can assist you in determining where priorities lie and if any parts of the area more susceptible to crime than others. 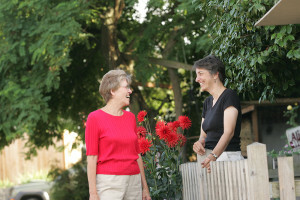 It’s relatively easy to build up a positive rapport with your neighbors, but how easy is it to really get to know them? By calling upon the resources provided by a property profile report, you can access information that will allow you to paint a clearer picture of your community and that will help you to see any red flags that may require your attention. The professionals at Local Records Office are standing by to help you with the generation of your report, and working with this company is as easy as requesting your report, providing the necessary information, and payment.